On today’s show we take your questions on coffe shop meet-up strategies, debating dinner out "On us", how to respond to unintentionally rude exclamations, steping in to organize as an in-law, and whether or not to use staggered party start times to manage the guest list. Plus your most excellent feedback, etiquette salute and postscript segement inspired by the final section of Jen Doll's Be Better At Parties NYT Article. 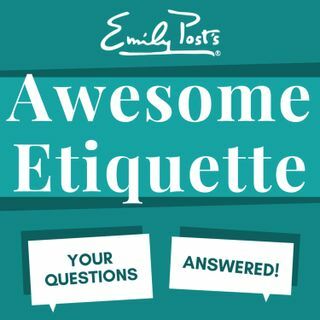 The Awesome Etiquette sustaining members extra question of ... See More the week is about couples asking for help during baby visits.